The Longo Specialità story began in 1961 with Consiglio Longo. 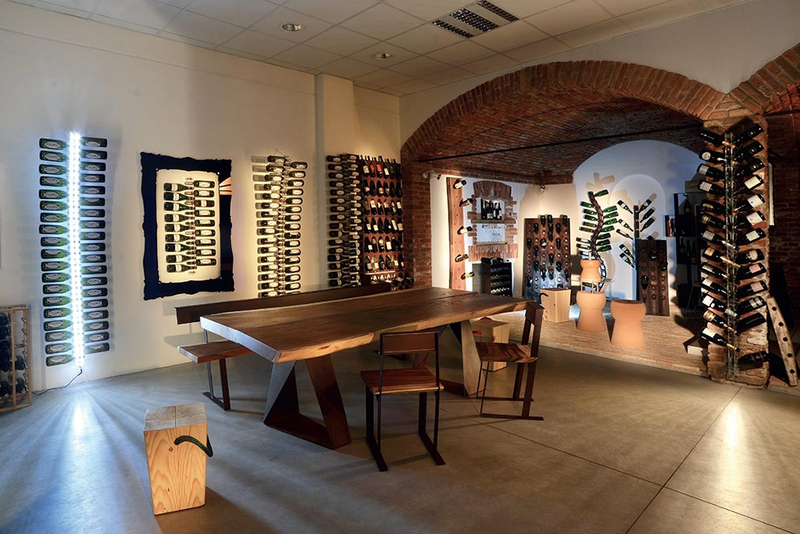 Having relocated from Salento to Milan, he married Carla and opened a wine shop in San Giorgio, Legnano. In a few short years, the small business evolved into a tavern and wine cellar with a warehouse where they produced and bottled hundreds of litres of wine of grapes sent in boxes from Puglia. The flagons and bottles soon started to become popular with private customers, clubs and bars, and as purchases or gifts being delivered by Consiglio in a horse-drawn carriage. Longo Specialità’s success has always been based on its ability to be ahead of the times and fashions. This 1979 photograph shows Consiglio Longo (second left) with Georges Duboeuf at the Romanèche-Thorins winery, Beaujolais region, France. In the late Seventies, Carla and Consiglio’s 3 children joined the Company at a young age, first Giovanni, followed by Osvaldo and Paola. The Longo name became established in the bottling sector. However, the world of wine was changing; with increasing cultural tastes, quality became more important than quantity. Alongside Paola (first left), Osvaldo and Giovanni Longo (second and first right), is Gino Veronelli, the illustrious pioneering critic of Italian food and wine. With the Enoteca in full swing, the next step was to widen the range of quality gastronomic products. Longo works with leading Italian companies whose artisan craftsmanship, based on traditional Italian values and farming culture, shapes their business. The first superb products in 1990 gave rise to the Company’s identity as we know it today: corporate food and wine gifts. As the volume of business increased so did the size of the warehouses where gifts are packaged and shipped. Today, the Company has 6,000 square metres and over 120 people working during the Christmas period. On 28 May 2000, Enoteca Longo was awarded the “Best Wine Shop in Italy“ Oscar at the Rome Hilton hotel. AIS, the Association of Italian Sommeliers, recognised Longo’s important role in wine as a prestigious gifts. In 2008 the first edition of Fuoricasello was published, the first and only guide to eating well within 5 minutes of every motorway toll in Italy. The publication has now reached 11 editions and 600,000 copies sold, with numerous attempts to imitate it. (The photograph shows the Longo siblings with journalists Lamberto Sposini and Bruno Pizzul, together with sociologist Francesco Alberoni). 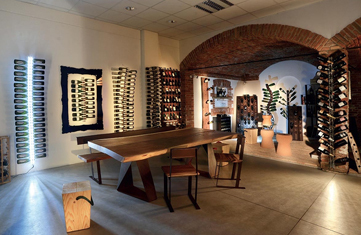 In 2014 Enoteca Longo received a special award at the Oscar del Vino 2014. The official reason: “Pioneers and creators of an ambitious corporate gift project for over thirty years. Based on the artisan values of the Italian agriculture and food industry, they have played a crucial role in promoting Italian wine as a prestigious gift.” Angelo Gajab, number one Italian producer, also received a special award.